In a large stock pot over medium heat add oil, onions, and celery. Sauté until vegetables look translucent and begin to brown. Add remaining ingredients except kale. Allow to come to a full boil. 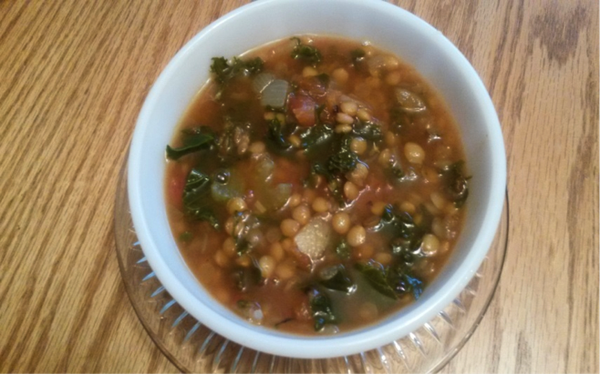 Turn down heat to medium low for 20 minutes or until lentils are soft. Add kale and cook an additional 10 minutes or until kale is fully wilted.